Communal Coffee is bustling with activity during the South Park Walkabout event. 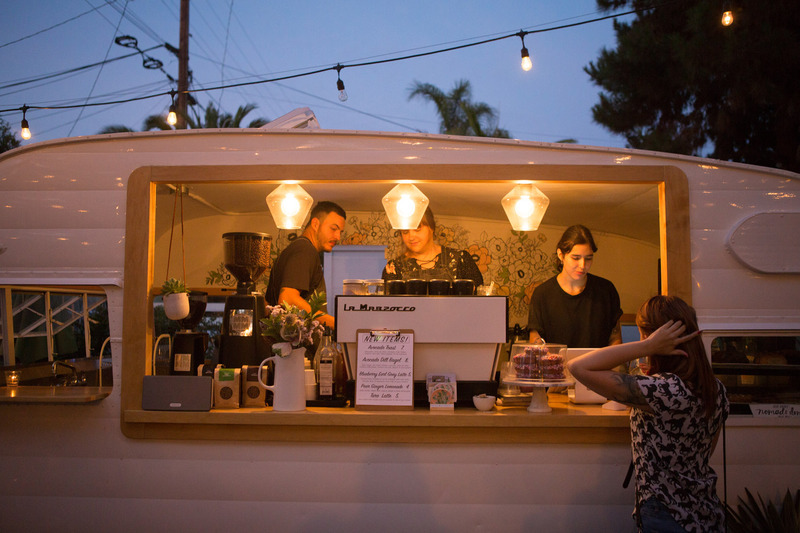 The South Park Walkabout is a quarterly fun-filled evening festival that showcases all the unique and independent businesses within the South Park neighborhood in San Diego. Property-released; model-released: Anna Zeltins, barista female with brown hair; Jonals Groves, male barista; Ansley Wilson, female barista, blonde with bangs.